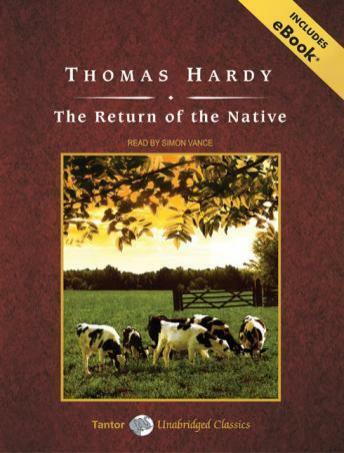 One of Thomas Hardy's classic statements about modern love, courtship, and marriage, The Return of the Native is set in the pastoral village of Egdon Heath. The fiery Eustacia Vye, wishing only for passionate love, believes that her escape from Egdon lies in her marriage to Clym Yeobright, the returning 'native,' home from Paris and discontented with his work there. Clym wishes to remain in Egdon, however-a desire that sets him in opposition to his wife and brings them both to despair. Surrounding them are Clym's mother, who is strongly opposed to his marriage; Damon Wildeve, who is in love with Eustacia but married to Clym's cousin Thomasin; and the oddly ambiguous observer Diggory Venn, whose frustrated love for Thomasin turns him into either a guardian angel or a jealous manipulator-or perhaps both. This stew of curdled love and conflicting emotions can only boil over into tragedy, and the book's darkly ironic ending marks it as both a classically Victorian novel and a forerunner of the modernist fiction that followed it. Absolutely wondrous. Spot on character portrayal. Perfect pacing. A reading for the ages! The book of course is a masterpiece.